Dam: xBISS Am/Can Ch. 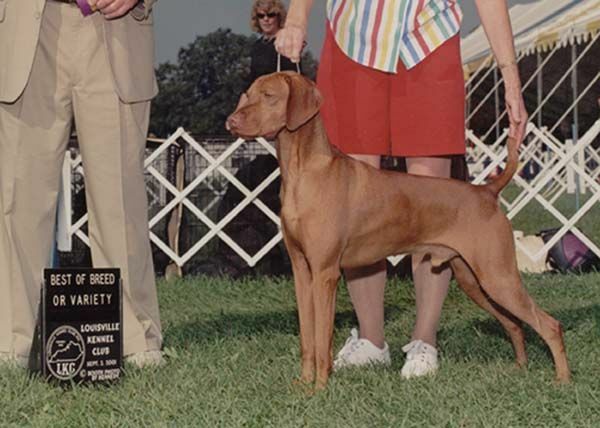 Copper Creeks Szizlin Kestrel JH ROM AOM - "Kestrel"
2xBISS Am/Can Ch. Copper Creeks Szizlin Kestrel JH ROM AOM - "Kestrel"
-multiple group placer, BOS specialty winner in addition to BISS, national AOM winner, and is consistantly a top producer whose offspring have gone on to be multiple group placers, field and hunting titled, specialty winners, sweepstake winners, and top producers themselves. She is owned by Carol & Bruce Phelps.